Even if you’re just getting started with your online business you’ve no doubt heard people talking about the importance of sales funnels. And with good reason – they’re proven to be one of the most effective ways of taking a website visitor from subscriber to customer on, essentially, autopilot. And nope, that’s not as sleazy as it sounds. Or in fact at all. That’s right, we’re not talking about old fashioned Internet Marking funnels where you fall down a rabbit hole of ‘are you sure you don’t want to buy this’, ‘what about this’, ‘okay then, how about this’ until you’re no longer sure what you were even on the site for to begin with! Instead, a sales funnel done right will establish a deeper relationship with your subscriber, helping to increase the chance of them converting to a paying customer (or in our case, member). So, we want to do our sales funnels right, and in order to do that there are certain tools that we’ll want to use. What actually is a sales funnel? A sales funnel is essentially the ‘ideal’ process that you would like someone to go through, from first visiting your site to becoming a repeat customer. It’s the path (or funnel!) that you will send visitors to your website through, starting with them subscribing to your email list and providing multiple touch points for the subscriber to make a purchase. For a membership site in particular, your funnel can be really important in encouraging people to make the leap to becoming a member. If they don’t purchase your tripwire product they are added to your subscriber email list and will simply be sent the freebie they signed up for. They are then added to an email sequence. Your new subscriber will be sent an email sequence which helps to establish and build your relationship with them by providing valuable content you may also offer the tripwire product again at some point, or a different tripwire. On the thank you page for your membership you may also want to offer an upsell to a higher level of membership or additional product if you have one. If you have multiple products then your sales funnel can become quite complex, but at it’s heart the sales funnel is about creating a simple journey from a – c.
Landing page – this is usually the starting point of your funnel and this page is centered around getting people to join your email list. You’ll typically give away a freebie such as a checklist, ebook or video to entice people to give you their email. Email service – as the aim of your landing page is to get people on your email list, you’ll need an appropriate email marketing service in order to do this. You’ll also be using this email service to build an ongoing relationship with your subscribers and to move people further down your funnel. Thank you page – once someone signs up to your email list, you’ll want to send them to a thank you page that tells them the next steps. This is also a great place to introduce a tripwire product such as a low cost ebook or $1 membership trial. Further down your funnel the thank you pages for your paid products may also be used to introduce upsells. Sales page – you’ll need a sales page for any paid elements of your funnel, such as your membership site. Your sales pages are designed to move people from subscribers to paying customers in your funnel. Traffic – your funnel is only as successful as the amount of traffic being driven to it! You can get your traffic organically through methods such as content marketing, but it’s likely that you will also want to try paid advertising such as Facebook Ads. So, what tools can we actually use to create our funnel? You may be able to create landing pages and sales pages using your current WordPress theme, however you’ll likely need something extra to create a page with some additional pizazz. If you’re not already familiar then a typical landing page will have your normal theme elements, such as the header, navigation and footer areas, removed so that there are no distractions from the page contents. We personally use Thrive Content Builder now, but have used all the alternatives listed above too at one point or another. Most email marketing services will allow you to create automations that will automatically send emails to someone once they subscribe to your list, and as such you can create a basic sales funnel with any email marketing service, such as Mailchimp or Aweber. We use ActiveCampaign and find this a really powerful solution for email automations, the main additional benefit of a service like Infusionsoft or Ontraport is the added ability to use them for ecommerce. Whilst we mentioned using a landing page to get website visitors onto your email list, you may actually want to have several different types of opt-ins throughout your site. For example you might have an opt-in box or content upgrade at the end of blog posts and you could also have an opt-in form in your sidebar, or a pop-up on the homepage of your website. The benefit with these systems is that they’ll usually enable you to make use of several different types of opt-in forms throughout your site quickly and easily. They’ll also usually have templates that you can use so that it’s even easier to get a nice looking form setup quickly. Creating a sales funnel can be a bit like putting together lots of different jigsaw pieces and hoping you get the right combination. If you’d rather take out some of the guess work then there are some all-in-one systems available that will handle the whole process for you. One thing to bear in mind with these systems is that whilst they can make things easier to set up initially, they may lack functionality and customisability in the long run, so ensure you pay attention to all the features available before you sign-up (they also don’t come cheap!). Whilst the above are what I would consider ‘essential’ tools for a successful sales funnel, there are some other tools that you may want to consider adding into the mix depending on the kind of products that you’re selling. Live chat such as livechat.inc – this can be an invaluable addition to your sales page, especially during a launch period. Essentially this allows visitors to your sales page to ask any questions they might have in real time, and can be an excellent way of increasing conversions. Graphics software such as Canva, My Ecover Maker, RelayThat, PlaceIt – having good visual elements for your sales funnel, especially visuals of your products themselves, can really make all the difference in how your pages look. Thankfully you don’t have to be a graphic designer to get great graphics these days! 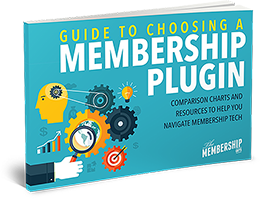 Membership plugin with upsell capabilities – if you have a number of different paid products and know that upsells will play a large part in your funnel then plan in advance and choose a membership plugin, such as MemberMouse, that has inbuilt upsell functionality in order to make your funnels much smoother. Ecommerce software such as Easy Digital Downloads, Gumroad, DPD – if you’re selling digital download products as part of your funnel then you may not want to use your membership plugin to sell these and will find a specialised software easier to manage. So, there you have it. What tools could you use – or are currently using – to create your own sales funnel?